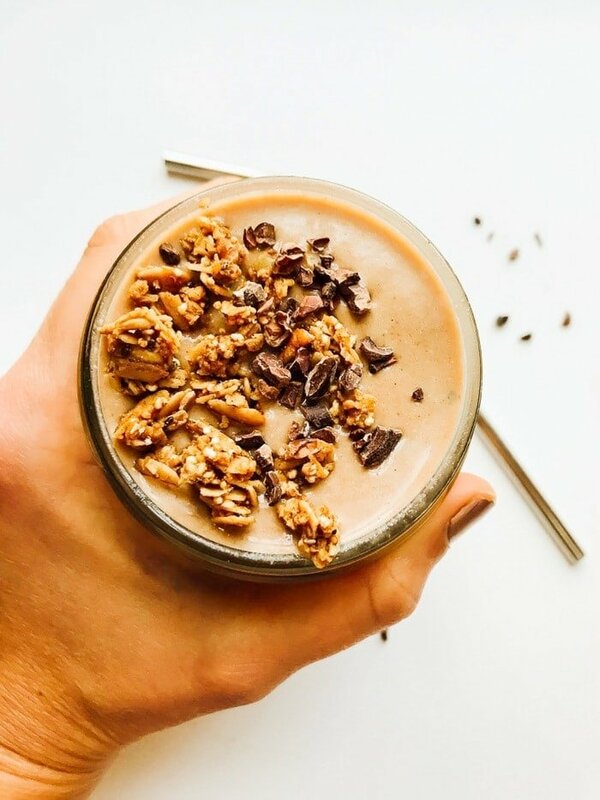 This chocolate mint chip smoothie is creamy, thick and rich thanks to coconut, cacao and frozen riced cauliflower. 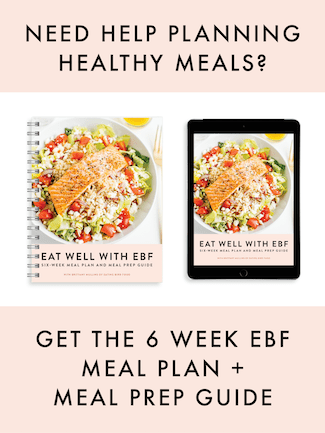 It’s low in sugar and loaded with protein and healthy fats so you’ll feel satisfied and your blood sugar will stay balanced. 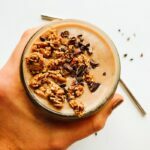 Last summer I was hooked on low sugar smoothies made with cauliflower rice like this malted chocolate cauli smoothie. One particular combo with coconut, chocolate and mint quickly became my go-to! I shared it on Instagram a bazillion times, but for whatever reason the recipe never made it to the blog. 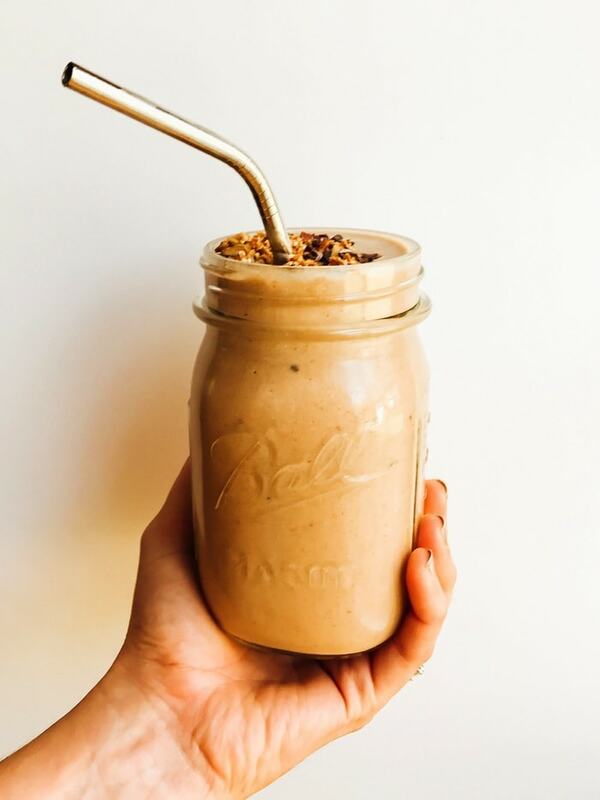 The weather is warming up here in Richmond and I’m craving smoothies again so I figured now would be a great time to share this delicious little smoothie blend. Better late than never, right? If you like mint chip, you will adore this smoothie combo. It’s rich and flavorful from the coconut and cacao, but also thick and creamy from the frozen cauliflower rice. I know you probably think I’m crazy for saying that cauliflower rice is going to make your smoothie thick and creamy, but trust me. It’s like magic! 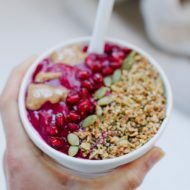 I love topping my smoothie with a little granola so I have a few chewable bites that I can eat with a spoon… it makes the smoothie feel more like a meal. I hope you love this little combo as much as I do. 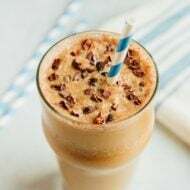 This chocolate mint chip smoothie is creamy, thick and rich thanks to coconut and frozen riced cauliflower. It’s low in sugar and loaded with protein and healthy fats so you’ll feel satisfied and your blood sugar will stay balanced. Blend all ingredients except cacao nibs and granola in a high-powered blender (I love my Vitamix). Blend until smooth. Add in cacao nibs and blend a couple seconds more. 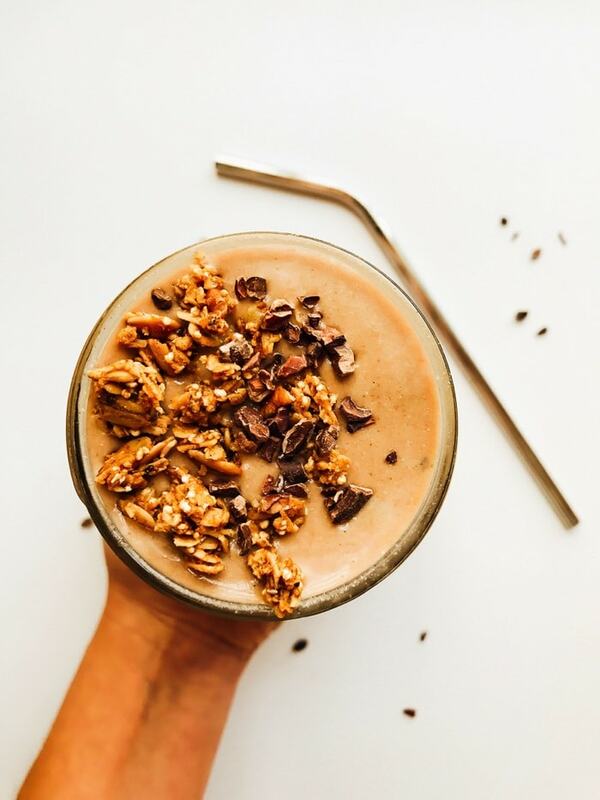 Pour into a glass, sprinkle with granola and cacao nibs and enjoy! 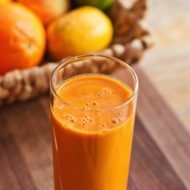 Feel free to add your favorite superfood ingredients to the smoothie as well. I love adding this adaptogenic mushroom blend. Mint chip milkshakes are my favorite! I love your healthier spin on the concept. ?